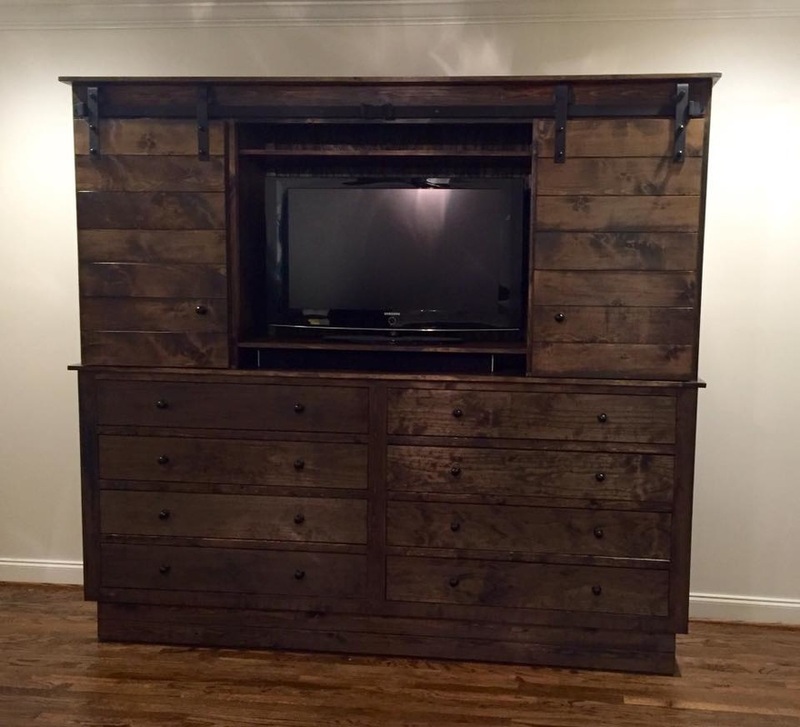 A variety of projects recently built. 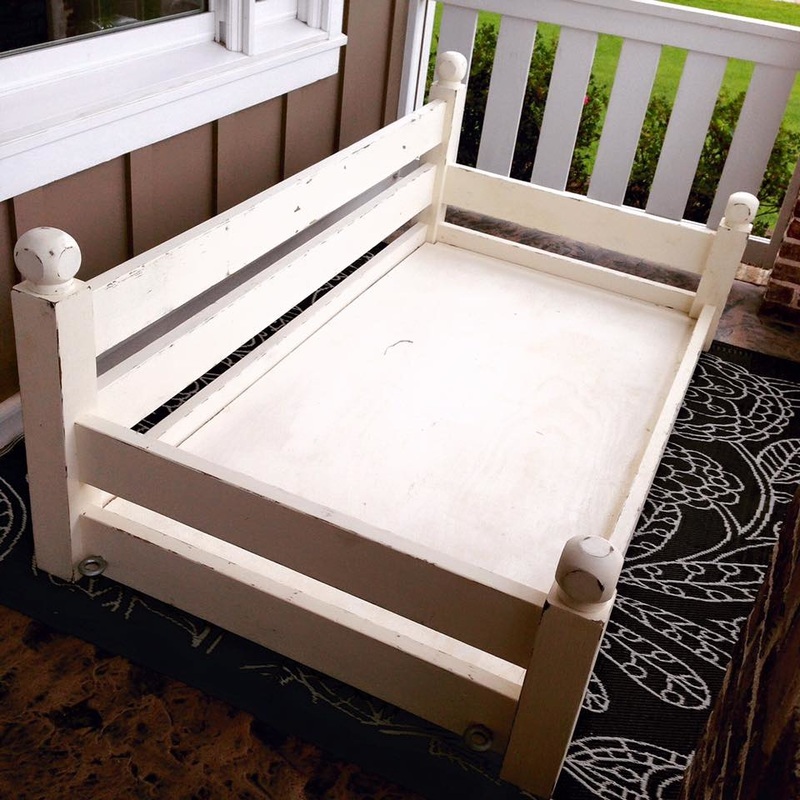 From beds, to storage units, and much more! 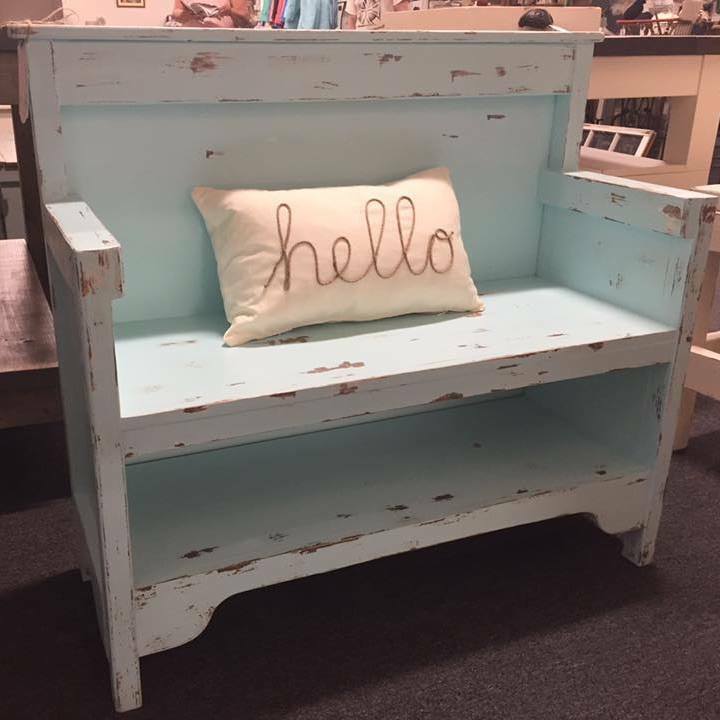 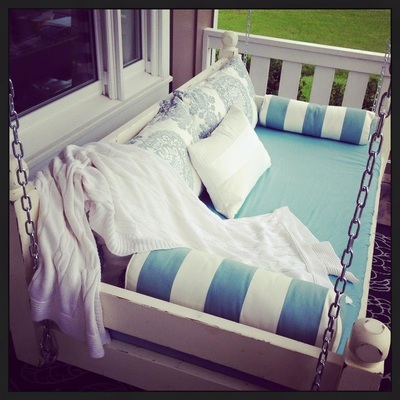 Every home needs a little blue bench that says "Hello Spring! 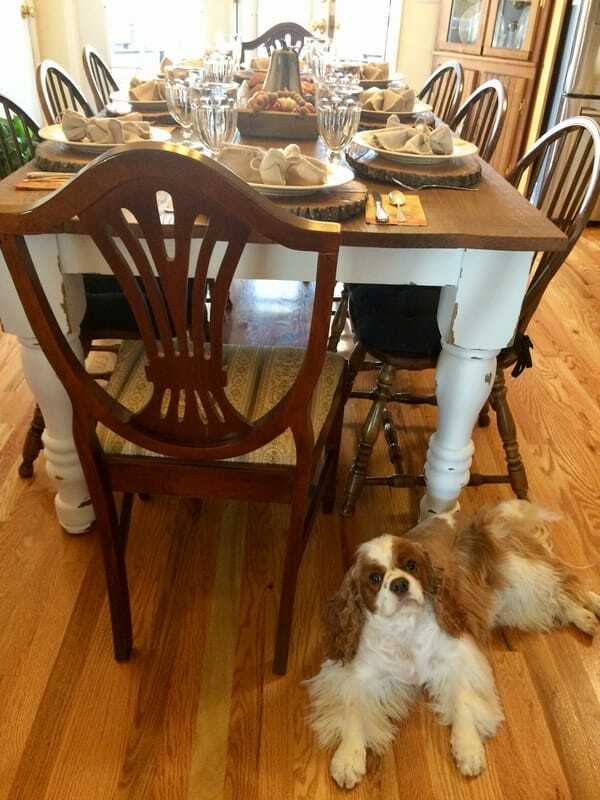 ", right? 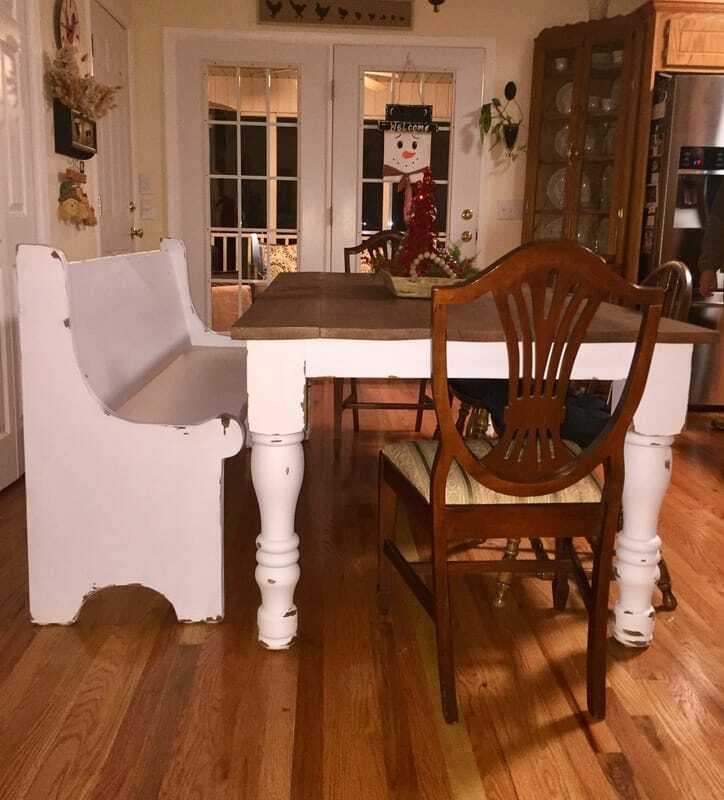 Laundry Room Make Over! 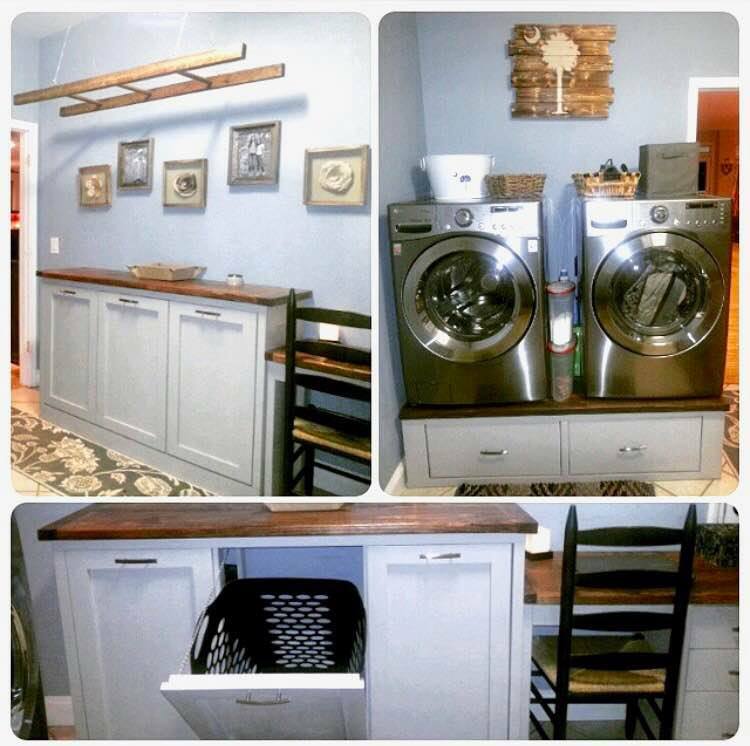 Featured 3 bin laundry sorter, with attached small work desk, solid pedestal stand with two drawers for front loading washer and dryer, custom ladder hung from ceiling for use as a drying rack. 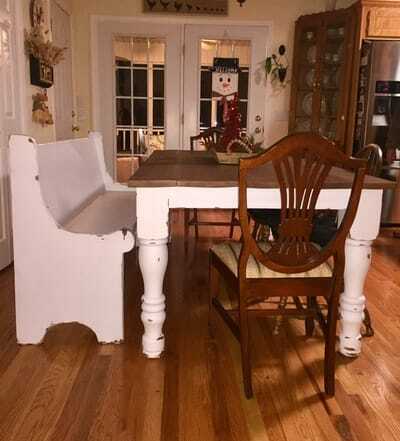 Custom farmable with fancy pedestals, cross braces, and matching bench. 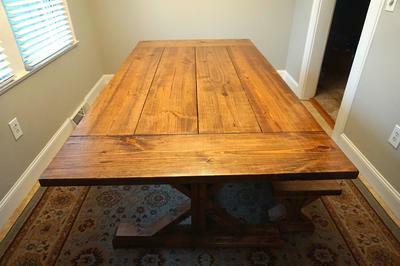 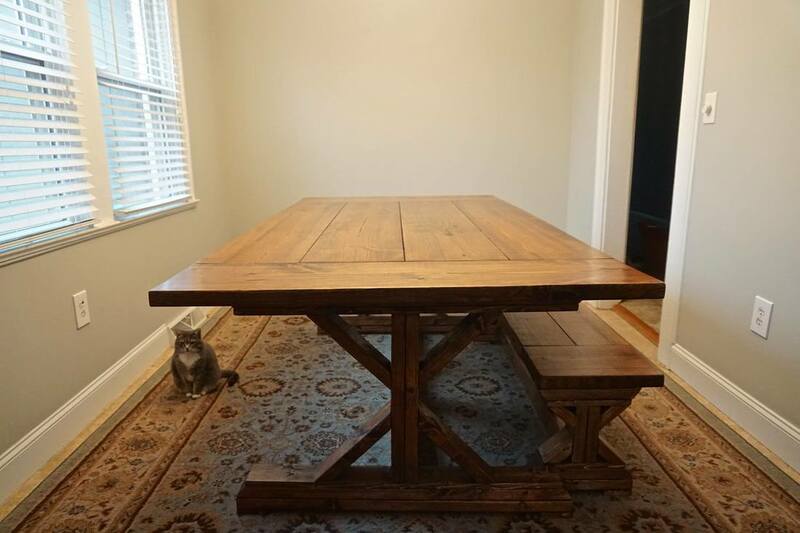 The 45" wide top is 7 feet long, breadboard ends, and is stained Special Walnut. A new table in time for Thanksgiving! 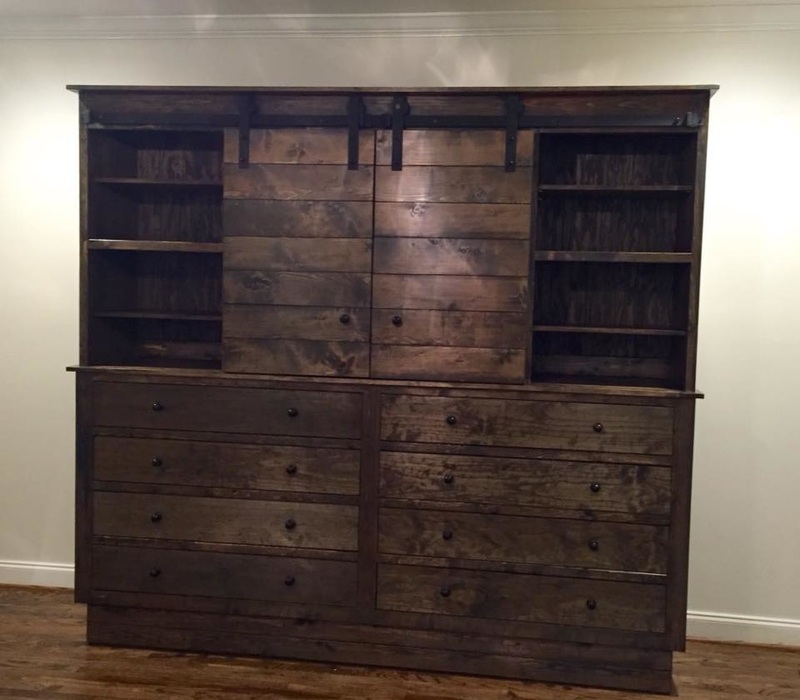 My client had these rough oak boards of her fathers in storage ever since he passed away. 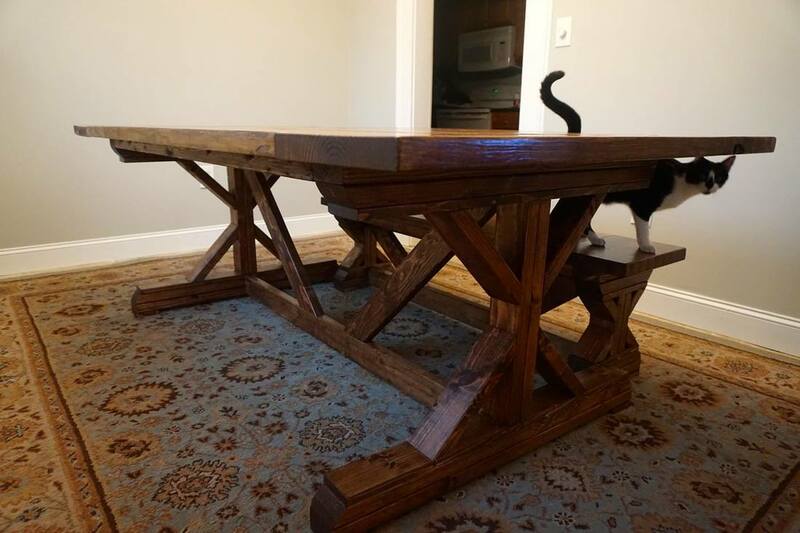 She asked if I could use them, in his memory, to make a family table. The apron was also made out of her "daddy's oak". 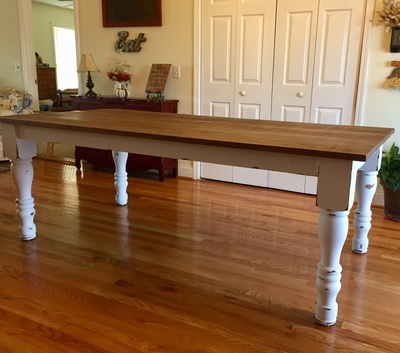 The massive 5" oak turned legs and distressed finish complete the look she was aiming for. 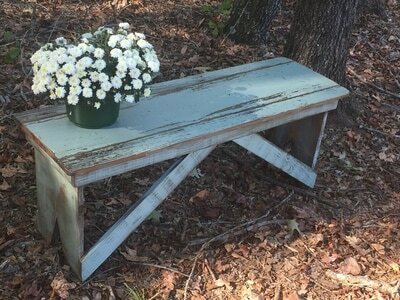 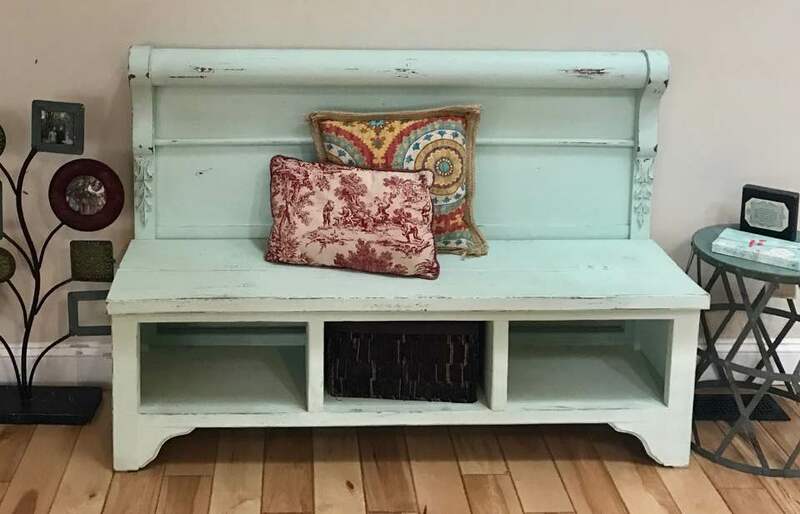 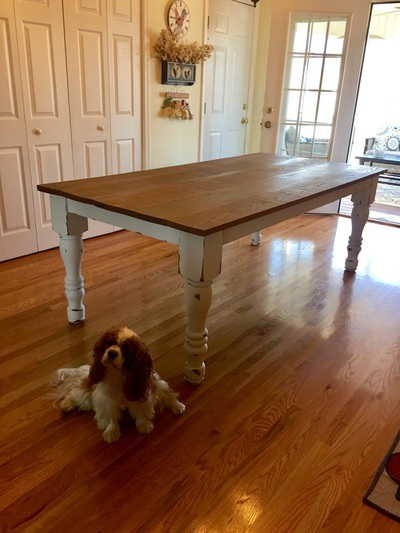 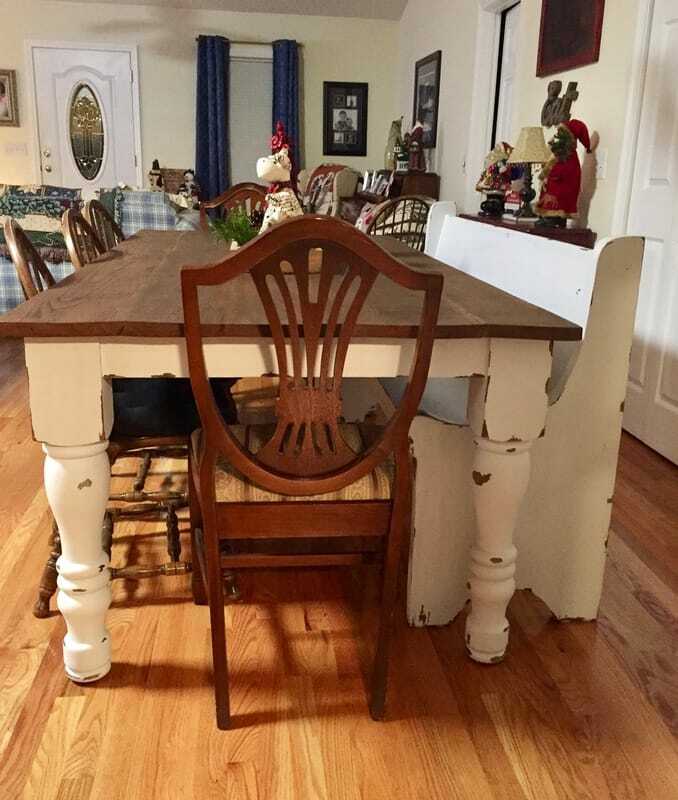 This beautiful table measures 84"l x 42"w x 30"h.
Custom distressed bench added in time for Christmas, to complete the set.